Jill, Digital Marketing Director at Origin Digital has a vast array of experience in ecommerce, social media and internet marketing, Jill’s approach is both refreshingly energetic and commercially astute. Over the past 13 years Jill has worked with High Street retailers such as Beaverbrooks the Jewellers, Levis Europe and LK Bennett as well as household names such as Johnson & Johnson and financial institutions such as Danske Bank, who have all experienced first-hand Jill’s ability to grow online sales through online marketing strategies. Jill is an Associate Lecturer at the University of Ulster on their Post Grad Digital Marketing & Communications course, and has worked on Rutgers University Fortune 500 Management Program providing Ecommerce Workshops to the Directors and managers of Fortune 500 Companies. 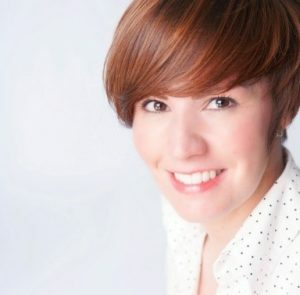 A regular speaker on topics including ecommerce, eTourism and digital strategies for over 10 years, Jill also provides training and consultancy on behalf of eConsultancy in London.